Are you planning a trip to New York City but feel deterred by the prices of lodging, transportation, and other expenses? The next time you visit NYC, consider staying in hotels with the amenities you like in nearby, less expensive New Jersey. The Garden State of New Jersey offers its own charms, and with an abundance of local transportation options, is accessible to Manhattan. Just a taxi ride away and near Newark Liberty International Airport (EWR) and Newark Penn Station, you will find several engaging things to do. Those with a taste for the arts may want to check out New Jersey Performing Arts Center, a fun stop for a concert or comedy show in Newark. The nearby Newark Museum is filled with numerous arts and science exhibitions, films, and other features for adults and children. Liberty State Park in Jersey City has great views of the Hudson River, Manhattan, the Statue of Liberty, and Ellis Island, and the Liberty Science Center offers films, exhibitions, and the largest planetarium in the Western Hemisphere. The 18.5 mile Hudson River Waterfront Walkway--running through Jersey City and Hoboken, among other areas--is a popular, always-open site for viewing the Manhattan skyline by foot, bicycle, or kayak. You can also spend the day at the Hoboken Historical Museum exploring exhibitions and events. Or you may want to head to The Mills at Jersey Gardens, a mall with over 200 stores and a movie theater in Elizabeth. An NYC visit can require a lot of money for hotel accommodations. Booking a highly expensive room without reviewing all options can be a New York mistake. So it's natural to begin looking for a budget alternative, and New Jersey provides that opportunity to save about $100 or more a night, depending on the season, location, room amenities, and various other factors. Multiple chain hotels cater to Manhattan visitors. Each is situated a bit differently, and convenience of location will vary. But this alternative is worth considering as you map out a budget for visiting NYC. Two places with good transportation connections to Manhattan are the Meadowlands area and near EWR; both provide a solid selection of mid-range hotels for usually less than half the cost of a room in Manhattan. The Fairfield Inn & Suites Newark Liberty International Airport, just north of EWR, offers clean, non-smoking rooms and breakfast with the cost of the room. Flight information is available on monitors and in the room on your television. The Ramada Plaza by Wyndham Newark International Airport is a budget hotel with all the amenities one would want, plus a free shuttle to EWR. Both the Ramada and The Best Western Plus Robert Treat Hotel are smoke-free and have a multilingual staff. The Best Western includes breakfast with the room cost. Train transport goes between Manhattan and EWR. The Air Train takes passengers from the airport to a point where they can access trains for Newark Penn Station and New York Penn Station. The PATH Subway is said to be the quickest and most affordable transit between NYC and New Jersey, connecting Newark, Hoboken, and Jersey City to Manhattan Midtown and the World Trade Center. Several NY Waterway ferries run regularly from New Jersey to NYC and provide lovely views along the way. Taxis and buses are some additional transportation methods between NYC and New Jersey; however, they may take longer and cost more. 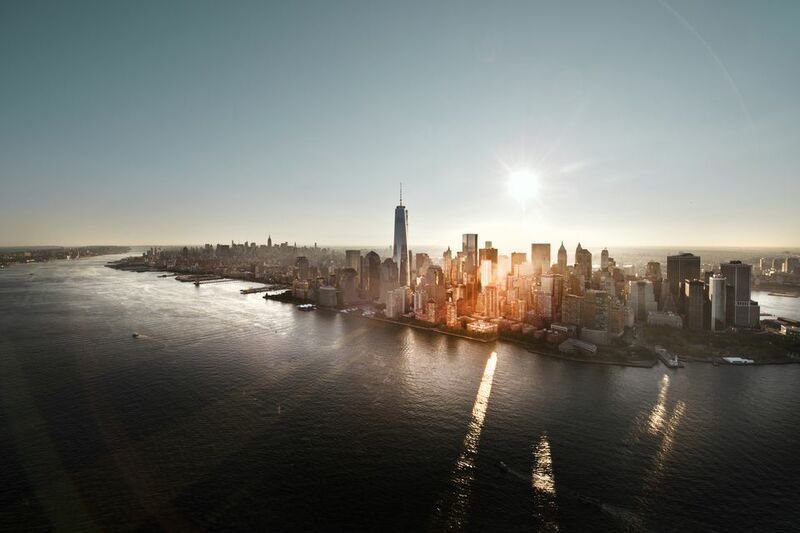 With some research and a little flexibility, you may find a trip to NYC can be made more affordable when New Jersey is considered as a potential place to stay.